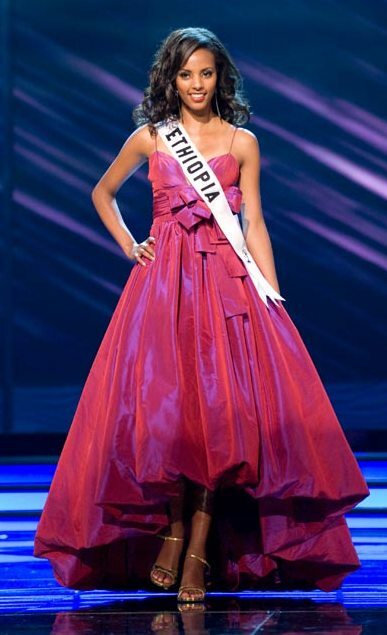 Melat Yante Woldesenbet who was Ethiopia’s representative to the 2009 Miss Universe Pageant placed as 1st runner up in the Global Beauties Face of the Year competition. She was also awarded the Global Beauties Face of Africa winner! The fifty finalists were chosen among the world’s most prestigious pageants. Out of thousands of women who competed nationally and internationally in 2009, the competition then chose the Top 25, Top 15, Top 10, Top 5 and then the winner. Melat was chosen by the international panel of judges in the top three from the first round of competition. She is presently in Germany preparing to compete in the Top Model of the World pageant. She also plans on returning home to Ethiopia to compete in other national contests for an opportunity to continue competing in international pageants.